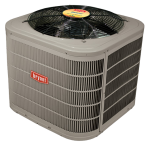 At Precision Air and Heating, we believe in providing our customers the most relevant information possible so we can assist in helping our customers make educated decisions about their heating and cooling systems. The original phase out of this mandate slated for a 90% reduction in R22 consumption by the year 2015 and a 99.5% near elimination of all R22 production by 2020. However, the EPA recognized that the industry was not on track to meet these mandates. So, in January of 2012, the EPA moved ahead deadlines by decreasing the overall allowable production levels of R22 by an additional 45%. Hence, the cost of refrigerant is now nearly double of what it once was. At Precision Air we are not only in the business of serving our Customers but also leading the way within our industry. So, here is what WE are advising to be proactive with this impactful situation. Option 1 is to attempt to maintain your existing system as long as you can without dangerous leaks. Now let’s discuss Option 2. While Option 2 will be the most recommended solution, it can be misleading. 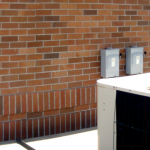 Most contractors will tell you that you need to upgrade to a new higher efficiency (non R22) AC unit. Actually there is a third option that may make sense for some home owners. There are some newer EPA approved Refrigerants like Dupont’s ICEION MO-99 being manufactured that will run in older R22 units. The cost of this refrigerant will be high and the performance could be substandard compared to the old R22 refrigerant. Now I must advise you that most of these replacement refrigerants including MO-99, have not yet been approved by manufacturers, and if mixed with your current systems R-22, it might and quite possibly will void your manufacturer warranty. Use a reputable company that will give you all your options. And remember when it comes to getting it done right, make the Precision Decision! Why Won’t My Heat Pump Start?